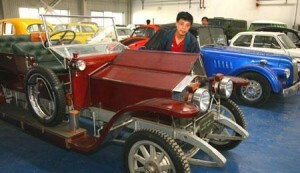 Communism work now on wheels, a Chinese extremely passionate about the phenomenon of auto museum opened in Beijing Chinese Classics machines, in which approximately 170 are housed in vintage cars from around the world. But for a special occasion fulfillment of 60 years of its establishment Republic of China, on October 1, the museum has put aside for additional polish with “red fleet”. Pieces of resistance: Convertible used by Mao in military inspections that was a car that has ever walked the communist leader Deng Xiaoping, and a gas-69, a vehicle used by the Soviet army. 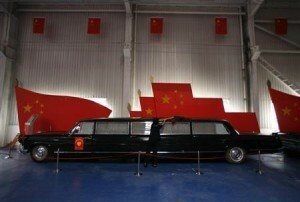 He could miss limousine wood that Vladimir Lenin was so proud. Among the cars are more exposed and motorcycles with sidecar used by the German army in the Second World War, which is worth hundreds of thousands of dollars. Chinese collector on behalf of Luo Wenyou, was a miner, then to establish their own courier company. Later, Luo has sold his business and began to borrow from where he could to buy classic cars that they wanted. “Now, cars are seen as a means of transport. When I was young, the most coveted jobs were those of doctor and driver. If you could drive a car, then you could consider yourself proud“, he said. Until now, the man has invested in vintage cars almost 4 million dollars, but received support from local government, which guaranteed that Lou can rent exhibition hall. Word was that passion, Lou could give rise to a new current in the collectors car.